07 Feb 2019 --- Rapeseed’s potential as a high-quality protein source has often been overlooked because of the seed’s intense bitter taste. This bitter taste has prohibited its use in food applications – until now. A team of researchers from the Technical University of Munich (TUM) has identified the substance responsible for rapeseed’s bitterness. 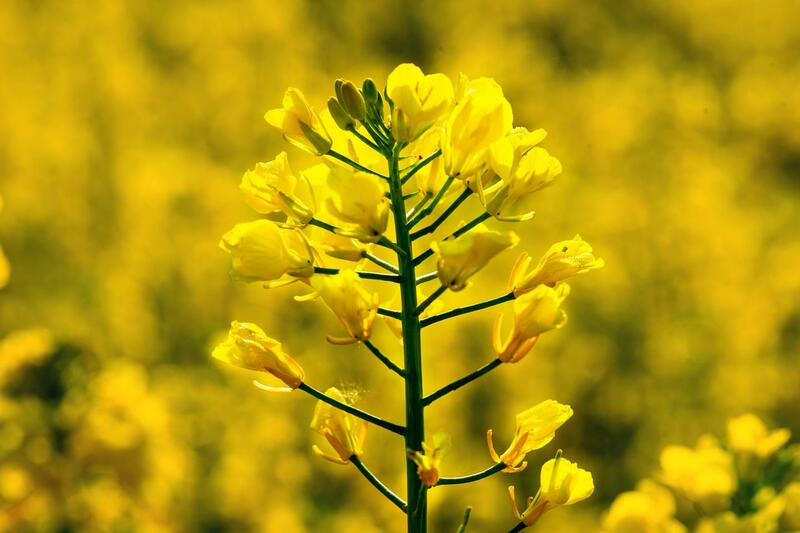 The discovery could signal the development of rapeseed as an important protein source suitable for human consumption. UN Food and Agriculture Organization (FAO) data show that the demand for food will approximately double by 2050 due to the growing world population. “Bottlenecks are to be expected in this context, particularly in protein supply,” warns Thomas Hofmann, Head of the Food Chemistry and Molecular Sensory Science Department at TUM. Hofmann says there is a need to develop new plant protein sources for human nutrition and rapeseed makes for a good source. “Rapeseed is already used and harvested for oil production. If we could additionally use it as a protein source for human consumption that would be a very sustainable option,” study co-author Corinna Dawid, Head of the Phytometabolomics Research group at TUM tells NutritionInsight. Click to EnlargeRapeseed blossoms at TUM's research station Roggenstein. Hofmann and his team investigated three different protein isolates using mass spectrometric analysis methods and taste tests. The first isolate was an extract of all the proteins contained in rapeseed meal. The second isolate predominantly contained cruciferin and the third napin, which are the rapeseed's two main storage proteins. All three isolates had a protein content of 80 to 90 percent. The researchers identified the compound responsible for the seed’s bitter flavor, which is called kaempferol 3-O-(2'''-O-sinapoyl-ß-sophoroside). The cruciferin isolate, more specifically, contained a large amount of this bitter substance with 390 milligrams per kilogram. The rapeseed meal and napin isolate had less than a tenth of the quantity but still tasted bitter in the sensory test. “Since we now know the cause of this bitter, off-taste, it is much easier to develop suitable technological processes or breeding strategies that can be used to produce tasty, protein-rich foods from rapeseed,” says Dawid. “Our next move is to identify the QTLs (quantitative trait locus) of our bitter compound for breeding experiments. And we will optimize technological processes with reduced concentrations of the bitter taste stimuli. Both research parts will be done in cooperation with other partners,” Dawid tells NutritionInsight. The protein found in rapeseed contains many essential amino acids. Approximately 1.12 million tons of crude protein are produced globally every year from rapeseed oil. Although farmers have long used this so-called “rapeseed cake” as a protein feed for animals, it is not yet a part of human nutrition. Food security is at the forefront of global food industry challenges as the world’s population is expected to reach approximately 9.8 billion by 2050. With the rapid onset of climate change and other factors that threaten food security, there is a growing focus on how to sustainably feed people all over the world. And, as the plant-based protein boom is likely to continue, there is more emphasis on plant-based protein as opposed to animal-based. 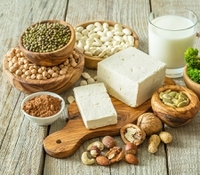 A growing number of leading experts from industry and academia are suggesting diets move towards meat reduction and an increase in plant proteins. Rapeseed sourced protein could, therefore, prove a viable solution towards more sustainable diets.